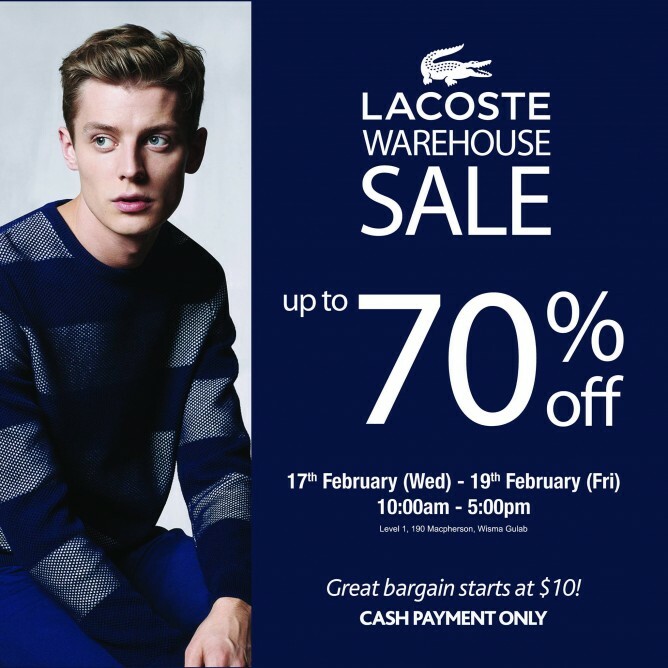 The much anticipated LACOSTE Warehouse Sale is here! 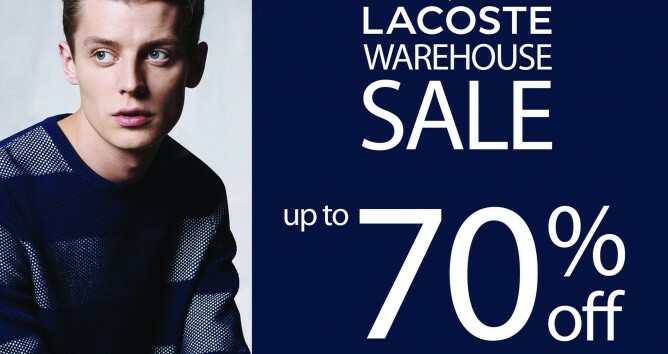 The LACOSTE sale will be held from 17th Feb (Wed) - 19th Feb at Wisma Gulab Level 1 with discounts up to 70% off! Great bargain starts at $10! Hurry and mark your calendar so that you won't miss out this fantastic deal. See you there! Fresh, contemporary, classic are the key words that come to mind when one looks at Lacoste and its quality apparel, footwear and accessories. Derived from the brand’s unique and rich heritage in tennis, Lacoste stores provide the perfect setting for the exclusive lifestyle based on the essential values of authenticity, performance and elegance.